The British Academy of Film and Television Arts handed out the BAFTA Children's awards on Sunday, November 26. As we previously reported, animation figured rather prominently among the nominees, featuring in 10 out of 17 categories. While it was by no means a clean sweep for the animation industry, it was still a pretty good night. The biggest win for animation on the night has to go to The Little Prince. Mark Osborne's film beat strong competition from Moana, Sing and Kubo And The Two Strings to take home the Best Feature Film Award. 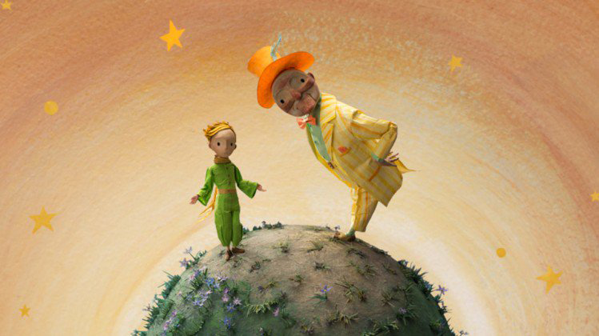 This was fantastic to see, as while it was very well received, The Little Prince has been largely overlooked in the awards race. It was also surprising as BAFTA previously awarded the Best Animated Feature Award at their main Film awards to Kubo earlier in the year. Adorable kid's animation Hey Duggee won a pair of awards, winning for both Preschool animation and in the Interactive Category. Meanwhile, the general Animation Category went to Magic Light Pictures 2-part TV special Revolting Rhymes. Blue Zoo Animation Studio was named Independent Production Company of the year, and CITV's Share A Story won the short form award. Elsewhere, Spongebob Squarepants won in the international category- which is pretty impressive for a show that's been around for nearly 20 years- and Pokemon Go won Best Game. Congratulations to all the winners and nominees! See the full list of winners here.